Some time ago I came across a very interesting article on the use of patent citations to recruit technical specialists. 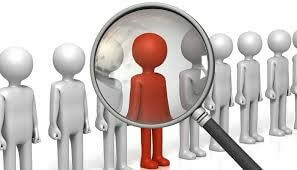 This article by Martin G. Moehrle, titled “Patent-based inventor profiles as a basis for human resource decisions in research and development” (Moehre, R&D Management, Vol. 35, No. 5, pp. 513-524, November 2005 ) describes a method of extracting inventor information from patents. Key inventors can be selected on base of competence by a patent citation analysis using specific classifications in a technical area. Patents are a rich source of information on inventors’ technological competences. Patent citations work rather similar as Journal citations. Patent citations are added not only by the applicants of the patent, but also by examiners. Examiners at the Patent offices generated citations during examination. With these citations one can map the progress in a sense of the knowledge contained within the patent document. 1) Backward citations are earlier published documents that are publicly available before the filing date of a new patent application and are sometimes called “prior art”. Normally generated by the applicant or the examiner, during filing or examination. 2) Forward citations are more recently published documents which have gone on to cite the patent application. These forward citations are also useful from a competitive or business intelligence perspective to identify players working in a similar area/technology to the new patent application. These are generated overtime to show the progress in a technical field. Most tools that contain patent information can track both forward and backward citations. These citations can also be used for many other purposes, like finding related art, or relevance ranking etc. Backward citations seems to be less relevant in relation to finding competent inventors in specific technological areas mainly due to the different citation strategies of the Patent Offices. In general we see for instance that the Japanese Patent Office (JPO) is citing for about 95% of Japanese documents and the United States Patent Office (USPTO) is citing for about 90% of US documents. Furthermore citations from the patent offices have different relevancy. In Europe (by the EPO) a relevance indicator is added, which already helps. Next to this, patent citations do not necessary be complete. Examiners at Patent Offices can stop when some documents relevant to the novelty are found. 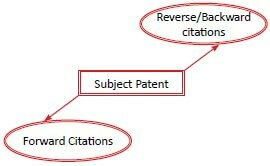 The best way to do an inventor ranking is starting with a key invention and look to the citations for this basic patent. A selection and ranking of the main inventors gives a good overview of the specialists in this specific area. It’s clear, this way only inventors from industry are found and for recruiting front line scientist working in Academic Institutes (like Universities) Scientific Journal Citations are a better source.